How much does Folksy charge? A place for those who love handmade goods, Folksy is a wonderful website for finding unique gifts and craft supplies. All kinds of creative sellers are welcome - whether you love to knit, sew, paint or even make your own ceramics, Folksy is an excellent choice. Curious about how to sell on Folksy? Take a look below and find out how to get started. Over 250,000 buyers visit Folksy every single month, and as a go-to online source for handmade goods you can guarantee you'll be selling to your ideal audience. The website feels similar to Etsy, but specialises in British craft. All sellers are based in the UK, and can enjoy handful of benefits when using the site. Sellers are automatically accepted as long as their products meet the Folksy criteria, and setting up a storefront is simple. On top of all that, the online Folksy community is a great place for new sellers. If you need advice or have any queries, you can receive help from other sellers currently using the site. Joining Folksy as a seller is free, and as standard the website charges per item rather than a monthly fee. Your first three listings with Folksy won't cost a penny, which is a great way to test the service, but after this you can choose from two pricing options. With a basic account, you pay 15p + VAT per item, rather than per listing. For example, if you added a listing for a handmade cosmetic bag and increased the quantity to 10, you would pay 15p for each cosmetic bag, with the entire listing costing the seller £1.50 (15p x 10) + VAT in total. If you're planning on selling a lot of items on Folksy, you may prefer to upgrade to Folksy Plus, which costs £45 per year including VAT. With this premium option, you will receive unlimited listings and it is also free to re-list an item. Whichever option you choose, an additional commission fee of 6% + VAT will be taken when an item is sold. This is only taken from the item's price, not the delivery cost. To qualify as a seller on Folksy, your goods must fit within certain criteria. All items must be handmade, with vintage items and assembled items being banned from the website. By handmade, Folksy state that items must be created through a 'craft practice', such as knitting or sewing, and have an original design. Read more on what can and cannot be sold on Folksy here. Eligible to sell on Folksy? Find out how you can get started below. 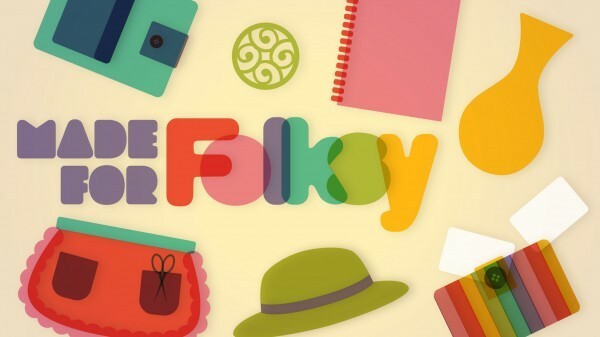 Register with Folksy: Firstly, you'll need to create an account with Folksy. You can do this with a Facebook or Google+ account, or register with an email address. Sign up as a seller: Next, select 'start selling' and choose between a basic account or Folksy Plus. 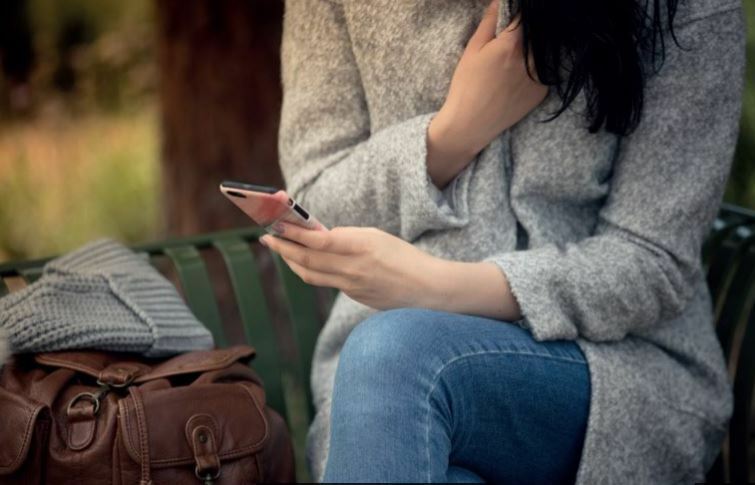 Connect with PayPal: To use Folksy, you will need a PayPal business account. If you have this, simply enter your email in the allocated box. If not, head over to PayPal, choose the Business tab and click 'Get Started'. Provide details about yourself: The next step involves providing Folksy with some basic personal details. They'll ask for your full name, address and you can provide your phone number if you wish. Choose your shop name: If you haven't thought about naming your shop, now is the time to make a decision. Folksy will ask for your preferred shop name, alongside a tag line and a short description of your products. Add your social links: Connect your social accounts to help customers find you elsewhere online. If you have a blog, you can also add its URL here. Connect Google Analytics (optional): If you would like to monitor how many people are visiting your shop, you can connect Google Analytics with Folksy by adding your tracking code to your shop. Find out how to set this up with Folksy's 'Using Google Analytics' guide. Customise your store: You'll be asked to verify your email after you've entered the above details, and then you can customise the appearance of your store. Options include adding a profile image, choosing or creating a banner and an opportunity to edit your tagline and description if you would like to do so. List items: Head over to 'Your Shop' and choose 'Add new listing' to put your products online. You'll need to choose an appropriate title, a good description and then up to five photos per item. Organise your items: If you select 'Shop Settings', you can carry out some shop maintenance. Items can be rearranged and placed into specific collections, or featured at the top of your store if you have Folksy Plus. Decide on your postage zones and costs: The final step involves postage. Select where you will ship your items and the set a price for delivery. With Folksy, you can choose up to four different shipping zones: the UK, the European Union, USA and Canada and the rest of the world. If you're looking to increase sales and place yourself ahead of the competition, you'll need to do some extra work to attract customers. Promote your Folksy shop around the web, and make sure you drive traffic through Twitter and Instagram - don't forget to use relevant hashtags on social media. It's worth playing an active role in the craft community too. Spend some time in the Folksy forum, comment on blogs across the internet and even consider starting up your own to showcase your designs. Sellers can link their Folksy shop with Facebook, which is a great way to expand your audience. To do this, you'll need to sign up for a personal Facebook account if you haven't got one already. Remember to stay active on Facebook and create posts advertising your products as well. You can find more tips about improving your reach on Facebook from Folksy here. If you have any other questions about Folksy, you can find out more by reading their extensive 'Support and Knowledge Base', which provides even more details about selling on the website. If you're curious about selling on Etsy, eBay, Facebook or elsewhere on the web, don't forget to take a look at our other useful selling guides.